2-way active low/high output for each stereo channel, plus a subwoofer output. Crossovers provide precise frequency dividing for multi-amplified speaker applications. The Nady CX-22SW Crossover will give superior performance with transparent audio. 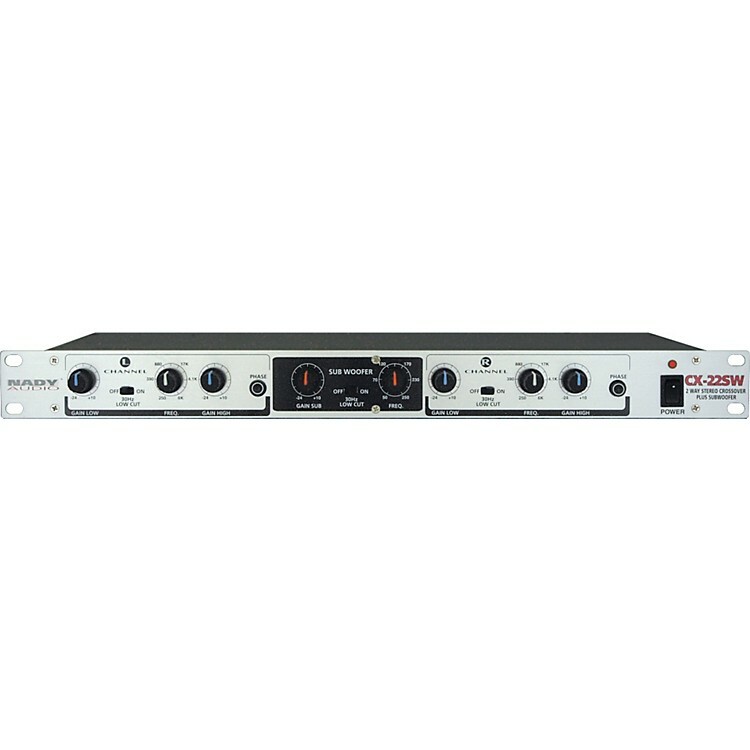 Features include a shielded internal power supply with AC voltage select switch (115V/60Hz or 230V/50Hz), phase inversion switches, low-cut subsonic filters for low-frequency driver protection, and servo-balanced XLR inputs.